Nothing beats the feeling of crossing the threshold from the outside world into your own home environment. Recognising the significance of that transition from public to private space informed the design for Linacre Road, our new medium-scale residential project in the beach-side suburb of Hampton. From the moment you step over the terrazzo threshold and through the portal doorway you’ll feel right at home. These apartments have been created so that people who are used to larger properties don't have to sacrifice on the comforts of bespoke living, based around an integrated approach between architecture, interiors and outdoor landscaped areas. A choice of lifestyle options has been used to guide the individual layouts of the apartments - you can choose the design that reflects what's important to you, whether it’s dining and entertaining or media, film and books. Storage was a key consideration with generous provisions of cupboard space for drying and linen, laundries and wardrobes. Linacre Road apartments also offer sculleries and butler’s pantries as well as wall units with in-built fireplaces and library spaces to display cherished collections of books and other objects. 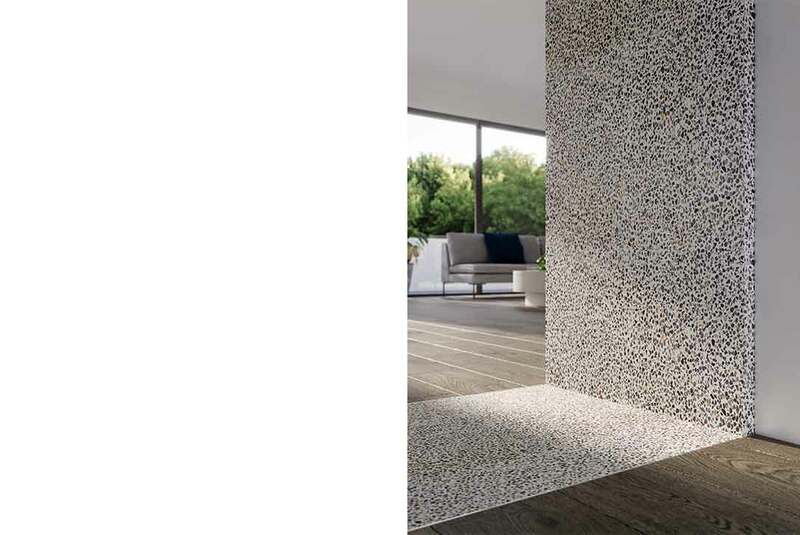 Luxury finishes and materials have been chosen to withstand the test of time, including stone splash-backs, timber veneer joinery and timber flooring. The idea of threshold was also used to demarcate different rooms within these homes: corridor doors are inset to establish punctuation to wall surfaces, while shifts in materiality signal spatial changes. 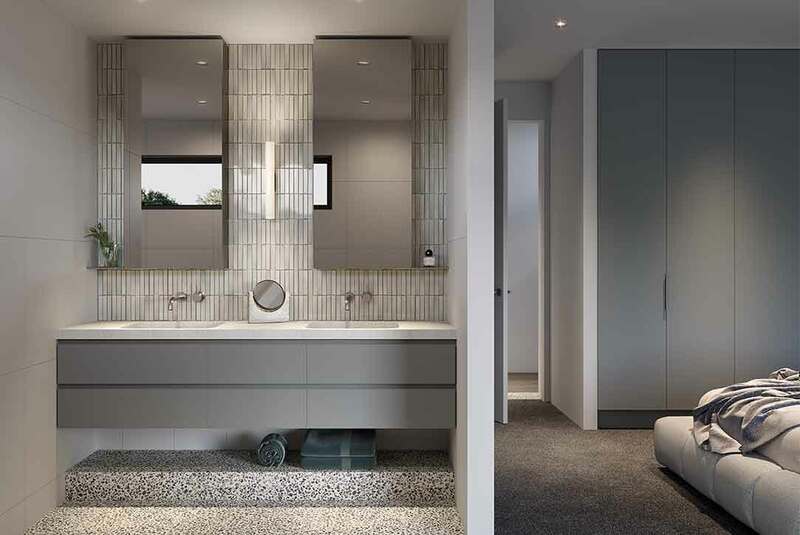 Whilst the light or dark palettes are mostly kept neutral, with natural tones adding texture, feature spaces such as powder rooms reveal dramatic details with floors in green terrazzo and rich charcoal tiled paint. Balconies have been integrated with entertaining spaces, giving residents a seamless connection from the kitchen to al fresco dining. These apartments have been created so that people who are used to larger properties don’t have to sacrifice on the comforts of bespoke living, based around an integrated approach between architecture, interiors and outdoor landscaped areas. 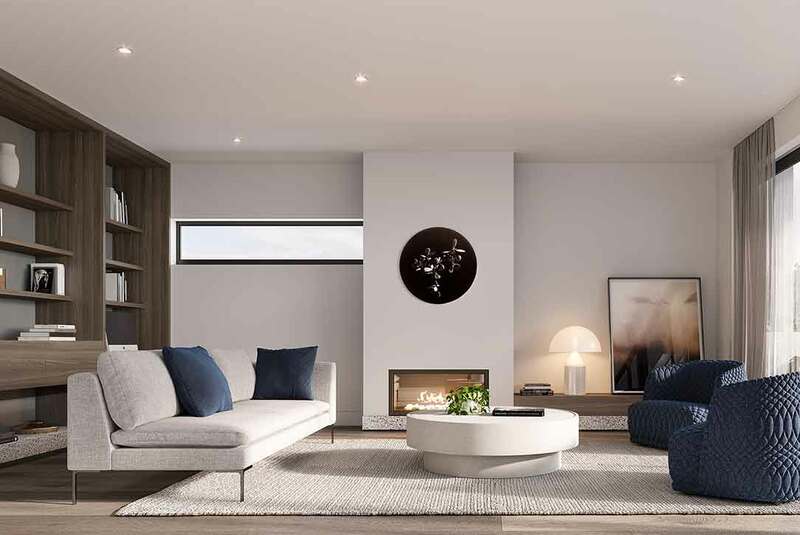 A choice of lifestyle options has been used to guide the individual layouts of the apartments – you can choose the design that reflects what’s important to you, whether it’s dining and entertaining or media, film and books. Storage was a key consideration with generous provisions of cupboard space for drying and linen, laundries and wardrobes. Linacre Road apartments also offer sculleries and butler’s pantries as well as wall units with in-built fireplaces and library spaces to display cherished collections of books and other objects. 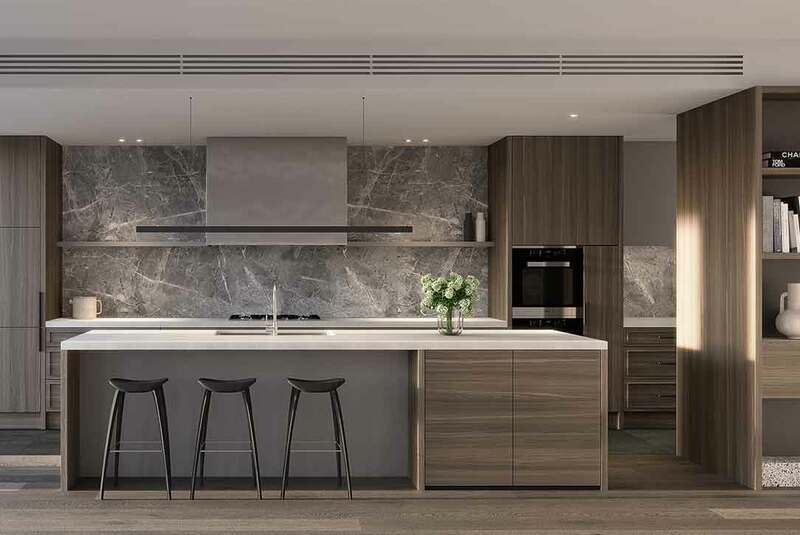 Luxury finishes and materials have been chosen to withstand the test of time, including stone splash-backs, timber veneer joinery and timber flooring. The idea of threshold was also used to demarcate different rooms within these homes: corridor doors are inset to establish punctuation to wall surfaces, while shifts in materiality signal spatial changes. 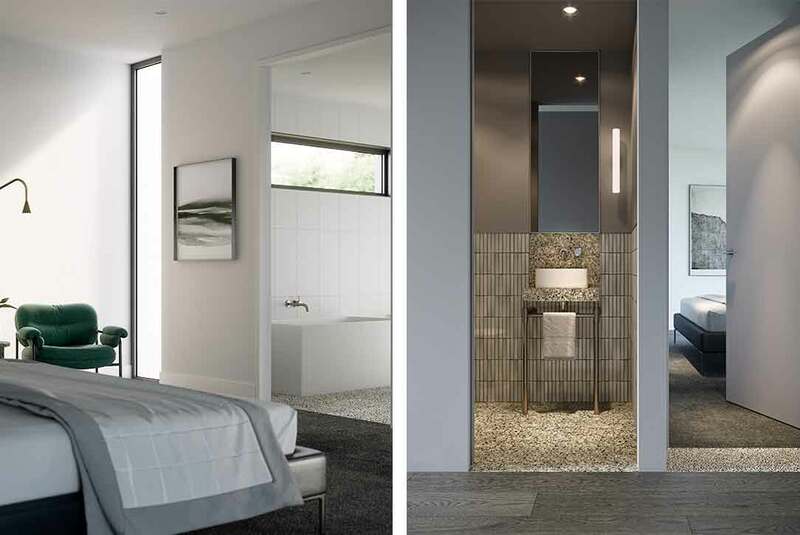 Whilst the light or dark palettes are mostly kept neutral, with natural tones adding texture, feature spaces such as powder rooms reveal dramatic details with floors in green terrazzo and rich charcoal tiled walls. 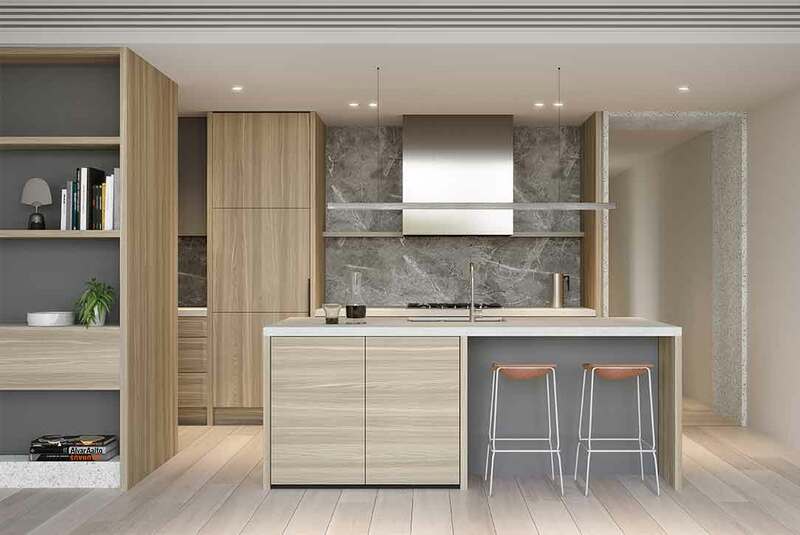 Balconies have been integrated with entertaining spaces inside, giving residents a seamless connection from the kitchen to al fresco dining.